The cost to register a single dog with the ABRA is $30 US. Please mail a check or money order or pay thru www.paypal.com using the E-mail@ABRA1st.com email address. 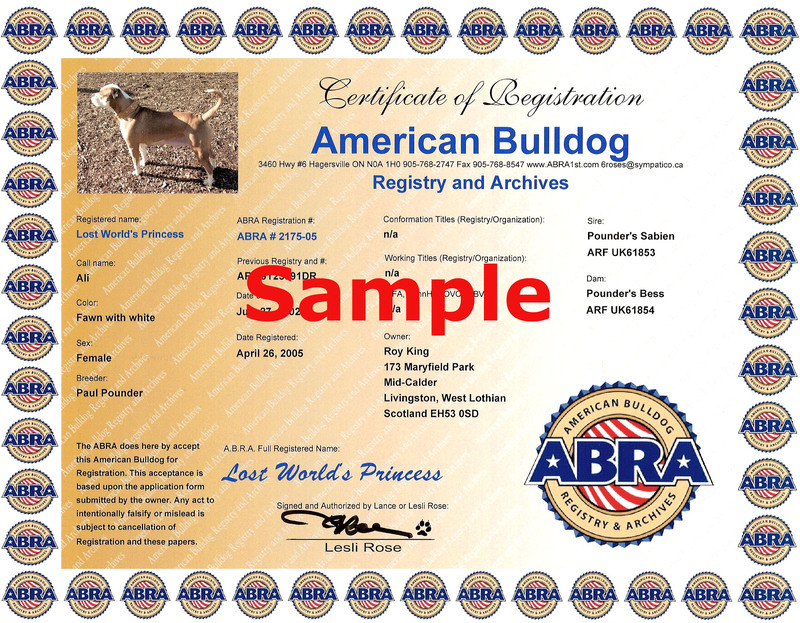 Mail, Email or Fax 905-768-8547 the dog's current registration certificate with your name on it as the owner of the dog and a 3 generation pedigree. Mail or Email a picture of the dog to be registered for the certificate. Here is the Single Dog Registration Form, you can print this form, fill it in and fax it or you can just use the form as a guide to send the information required via Email.